Today we head for the sunshine in Fiji! 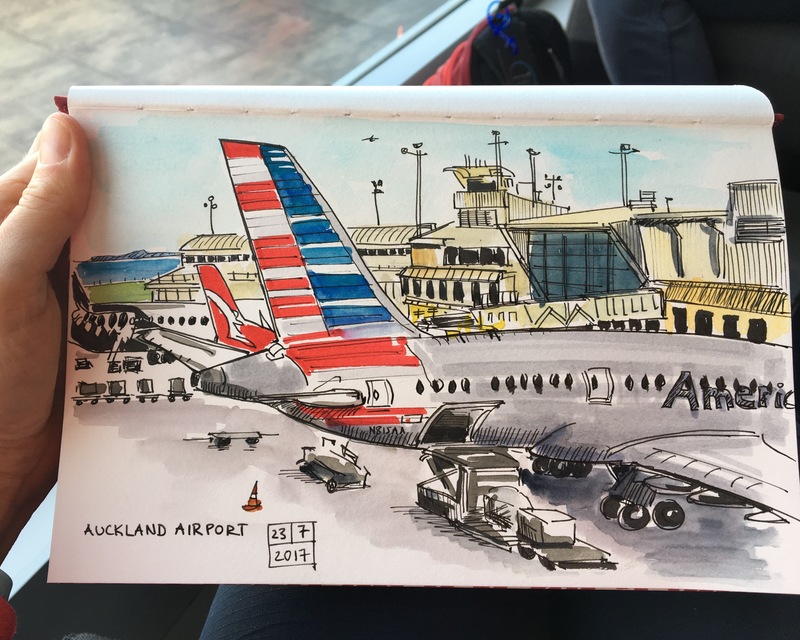 A nice view of the planes at Auckland airport as we wait for our flight. Great sketch. Enjoy your holiday. I expect sketches of wonderful beaches and palm trees in Fiji !! Yes, I shall be sketching the palms! So warm here, but raining at the moment.